Organisations now rely on business-critical Software-as-a-Service (SaaS) applications to power their operations, where slowdowns and downtimes are often hard to troubleshoot, let alone identify the fault domain. Without the proper tools, it can be difficult to tell what is being transferred between clients and servers in a SaaS environment or how the network and SaaS applications are behaving. As a result, most organisations are ill-equipped to measure or manage the performance of their SaaS applications to ensure the best user experience. SkyLIGHT™ PVX provides complete visibility and control for all public or private business-critical SaaS applications, offering the appropriate level of insight into network health, end-user experience, and application performance. SkyLIGHT PVX delivers faster problem resolution by significantly reducing the time to pinpoint and troubleshoot performance issues. With its ability to provide detailed historical trending and real-time network and transactional data for SaaS applications, SkyLIGHT PVX helps organizations to proactively identify and avoid business impacting issues. In accordance with the organization’s IT security standards, SkyLIGHT PVX can directly decode SSL traffic flows. SkyLIGHT PVX can also function in conjunction with 3rd party solutions that intercept and decrypt SaaS flows for situations where strict security requirements are in effect. 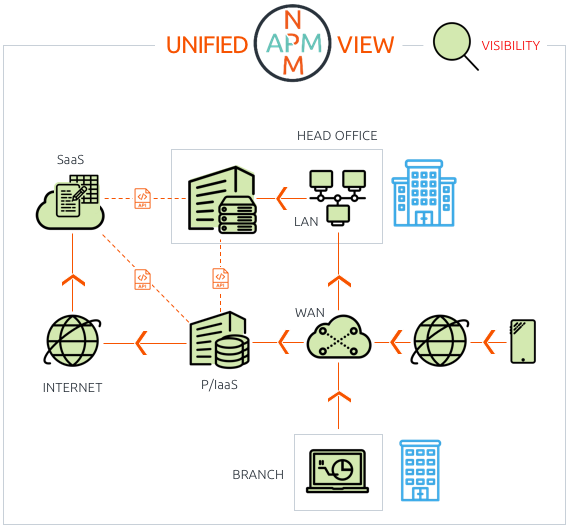 In either case, SkyLIGHT PVX provides IT professionals with advanced end-user experience monitoring, application performance, and real-time transaction insight into SaaS applications.